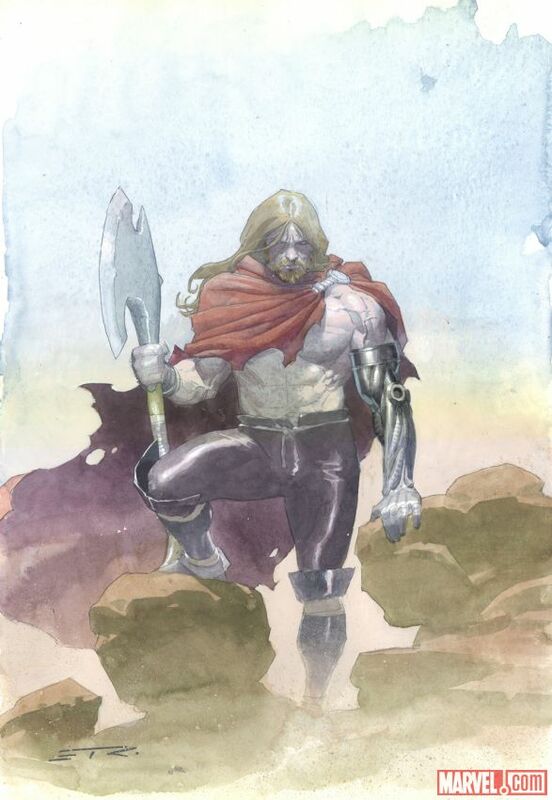 So I have no idea exactly why the decision was made to have a female Thor. Maybe it was something they wanted to do for a while. Maybe female Loki was such a smash hit they wanted to repeat it with Thor. I want to give Marvel enough credit that it's not just a gimmick to boost sales and catch new readers. Really. I'll leave room enough to say that it could be a legitimate choice. However, I have a sinking feeling, a sour taste, a burning doubt that this is a gimmick. Why? First, Marvel doesn't really have a big female character they can really show off. They don't have a Wonder Woman, a lady that can go toe to toe with the dudes. Black Widow is probably the most well known female character in the mainstream, but she seems laughably underpowered next to her peers. With new readers, a lot of whom are female, Marvel will be looking for a female character that they can put up front in their "main lineup" and still seem capable. I think they decided on Thor. Secondly, the news of this change was announced on The View. The View? Yes, The View. Now I know what you're saying: "the news of Falcon taking over as Cap was announced on The Colbert Report, does that make that change a gimmick too?" Well we already established that's a change to boost sales (there's a couple every year) so yes, in a small way it is. However I get The Colbert Report announcement, it makes sense. Not to imply that comic book readers don't regularly watch The View, of course some do, but I think if you took the amount of people watching The Colbert Report who regularly purchase comic books versus the number of people watching The View who regularly purchase comic books... you'd find much more watch The Colbert Report. The announcement on The View had to have a solid reason behind it. I think that reason was to get people who wouldn't normally hear about comic news to learn of the new character, but even more than that I think it was to spread the word amongst the so-called "female demographic". 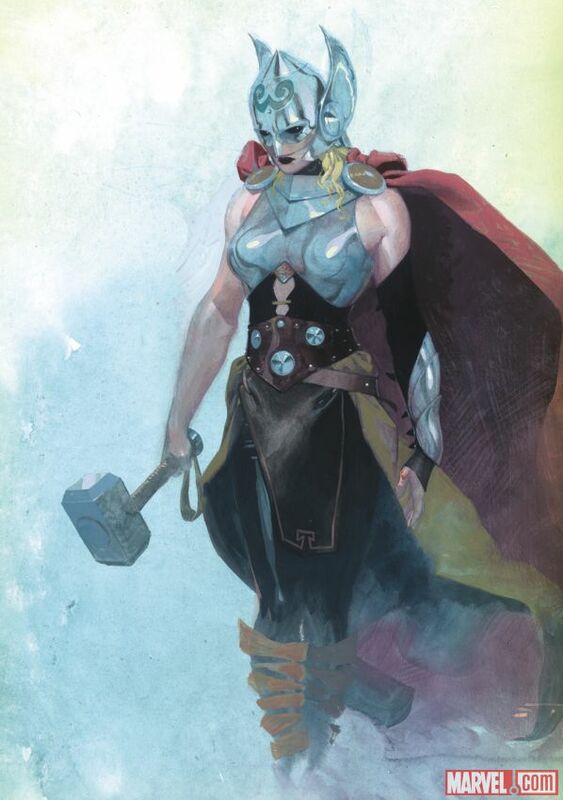 Moms start buying Thor comics for their young daughters because they know there's a powerful female protagonist in it. An attitude spreads around saying that comic books can be positive media for girls everywhere. While a good sentiment, I think it's not one to stem from a hasty, forced, market-driven choice. I think it should come about because it's true. But maybe I'm just misinterpreting it. If you can think of a better reason Marvel would announce a comic book event -- not pertaining to the super popular movies, mind you, just the comics -- on THE VIEW instead of almost anywhere else then let me know in the comments below. 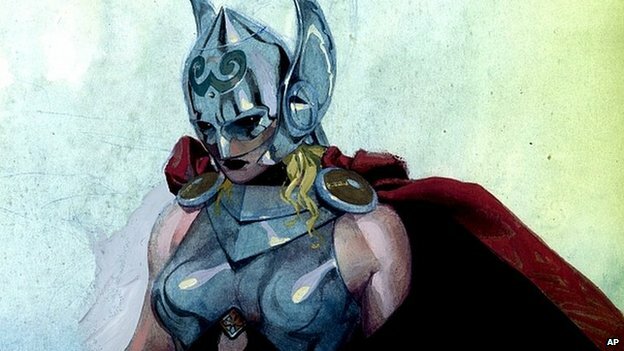 All in all, I'm not against the fact that Thor's a lady, just that it seems like an inorganic story development that was made for marketing purposes. Regardless, it'll be an interesting development. The character, and to a lesser degree his world, has always been characterized as incredibly masculine, and I admit a part of me is excited to see how they handle it. If any writer can pull it off with dignity, it'd be Jason Aaron. 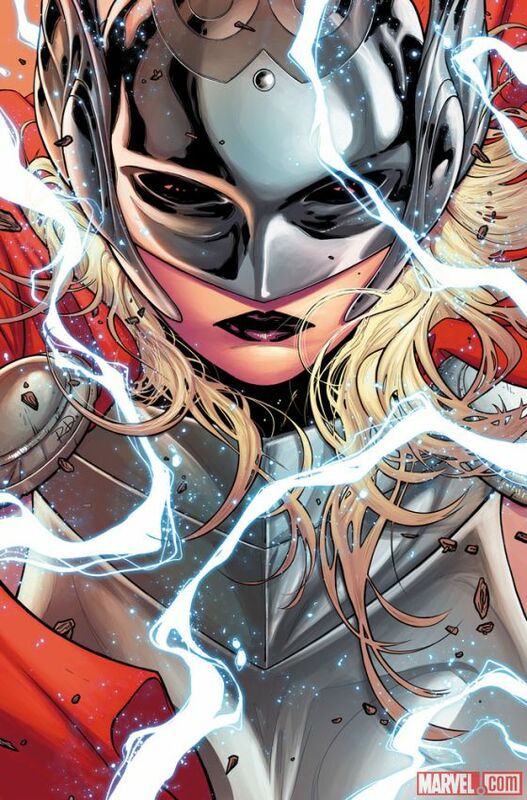 It's happening in Thor: God of Thunder, my favorite Marvel book out right now, so I'll be reading it all with you guys this October.